I am so excited to share my news…………. maybe I will show you ……….. it’s quicker. 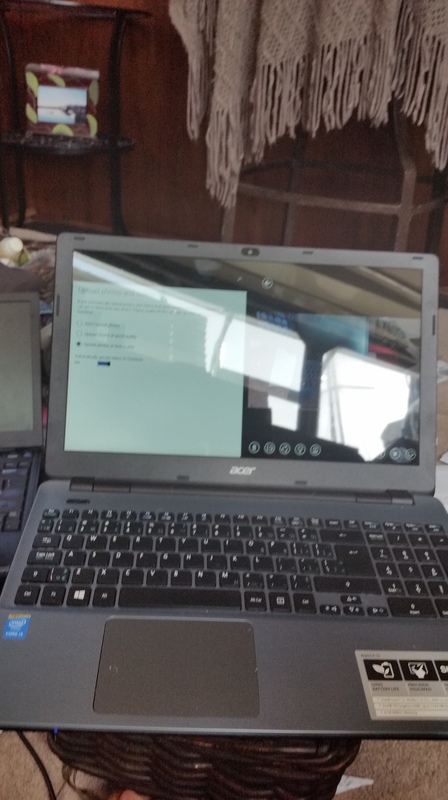 Yes, that is what it looks like, it is my new (new to me) laptop!! Thank you all very much!!!! To all the people who donated, thank you from the bottom of my heart! I am ecstatic! 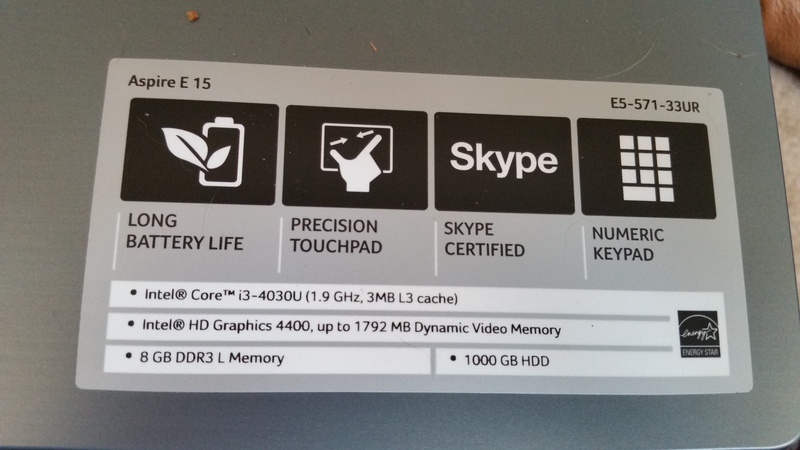 Did you all notice that this baby has 8GB RAM and 1000GB HDD?? it is fast! How much did it cost me? Believe it or not, only $310. Now in Canada that doesn’t buy you much of a laptop but there is more to the story. I went into Craig’s list the other day and there was a new ad, they were asking for $350, which I did not have, I only had $290. But the ad said that the person had bought the laptop after always using Macs and didn’t like Microsoft so was selling it after only buying it in June. I did some research on it and indeed it was sold in 2015 for over $500. I text messaged the contact number and asked how firm they were on the price. They said firm. I explained that I had a blog providing support for victims of abuse and provided the blog link. I went through your site, interesting. It is a brand new laptop lying on my desk for almost two months because I don’t care for Microsoft. Great laptop for you. It has 8 GB, more than you require. I can let you have it for $325. I understand your position none the less. That is great! I will try to dig up the other $35 and get back to you. It might take a couple of days and I don’t expect you to hold it but I will contact you when I have the money and hopefully you still have it. God be with you. Your work is very ennobling. So I called my mom and the rest is history!! 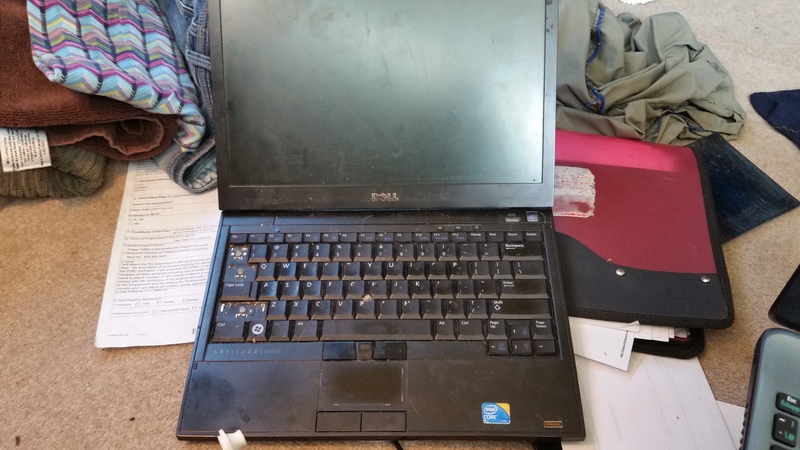 Here is a picture of my old laptop so you can see the difference. Notice the missing keys, but that was not the big problem, the problem was how slow it was and how the mouse had a mind of it’s own. There were days I couldn’t use it at all and other days intermittently. Now I can type til my heart’s content. Oh and he also threw in a keyboard! So you did it!! you got me a laptop, and a brand new one at that! And Sashi, the man who sold me the laptop! I am so blessed, so extremely blessed! Prayers do get answered. Carrie that’s beautiful God is an Awesome God and he does answer prayers Blessings to Sashi for him empathy and also reading the blog! I’m encouraged It has been a tough week. Moving on my own with no money and just having knew surgery. But the loneliness is hard but the peace and not having that ominous spirit around me is priceless! God bless you and those who were able to help. Awesome breakthrough, Carrie! carry on now. 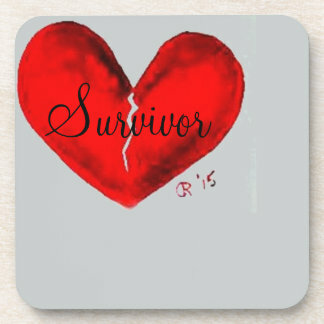 As the saying goes, “It’s always darkest before the dawn.” Sending you more love & strength! ((((HUGE HUG)))) Your friend, O.
Yay! Carrie, that is incredible! Sashi, may blessings fall upon you for being so kind! That is happy news! Congratulations Carrie. I’m very happy for you! God bless you Carrie..he is always on time. Stay faithful. I just read your website and thank YOU for showering all that praise on me for selling you that laptop.I do what I can as we all should.. I didn’t use that laptop and glad you could use it. Sashi, thank you. I agree. I have never regretted doing something nice for someone. I make it a point to listen to my gut and give when that voice tells me I should, they might not even being asking for help but I just get this feeling. There have been times that I argued with myself and told myself I can’t afford it but the “voice” won’t let me rest until I give. I always get way more back than I ever give. Know that your kindness will be a gift that keeps giving, for one thing it has enabled me to continue with the blog. 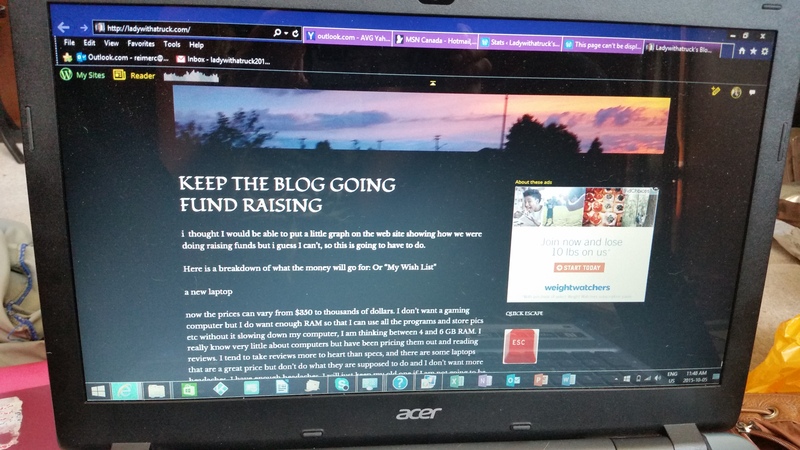 Without this laptop the blog would have remained up but I would not have been able to continue posting or providing support. Thank you for taking the time to read the blog and realizing the importance of what I am trying to do here. Next PostNext You Will Survive – But Will You Thrive?